Connected cars are a resource in emergencies. 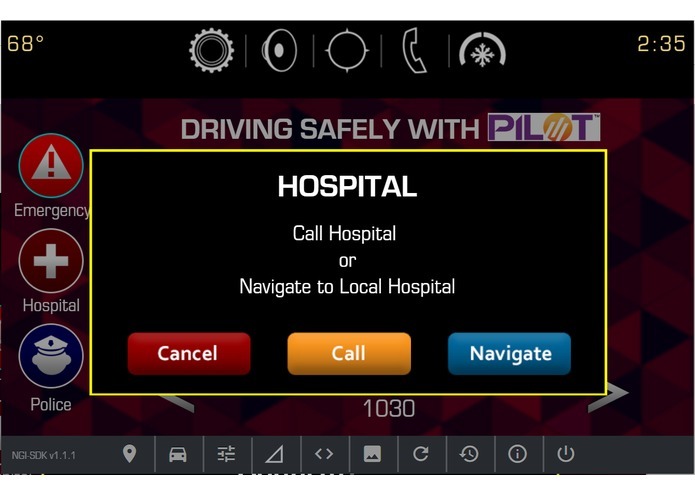 The DRIVE SAFELY WITH PILOT app takes advantage of advanced emergency alerting features (called IPAWS) now supported by the government and alert originators. 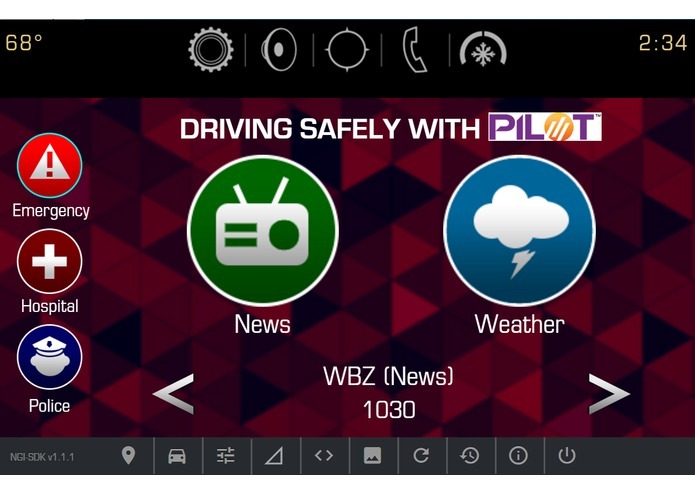 The best resource in an emergency is local AM and FM radio and the app provides simple access to news radio. 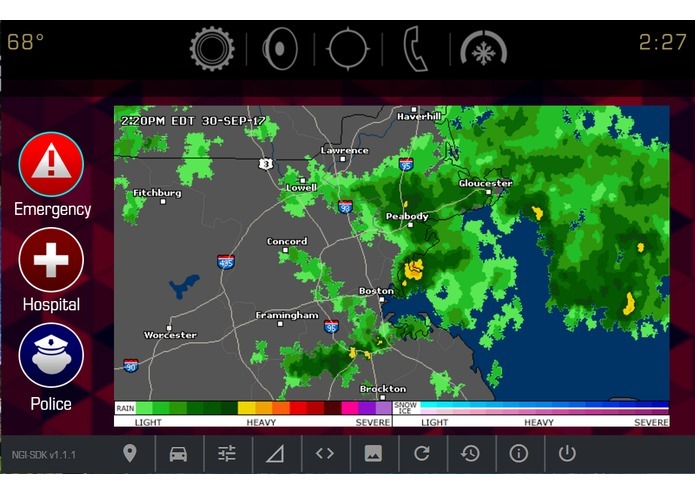 The United States' Integrated Public Alert and Warning System (IPAWS) provides a critical infrastructure for sending National and Local Emergency Alerts, NOAA Weather alerts, and other safety information to the populace. We Americans spend a lot of time in our cars. 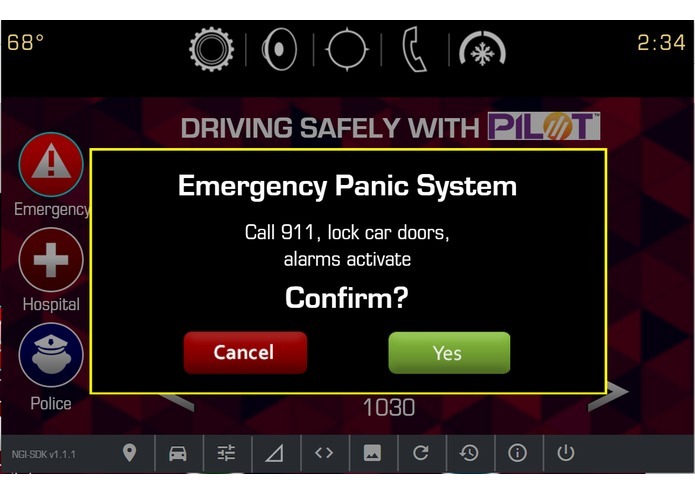 Providing a mechanism for Connected Vehicles to safely and reliably receive Emergency Alerts will help increase the safety and preparedness of our communities. 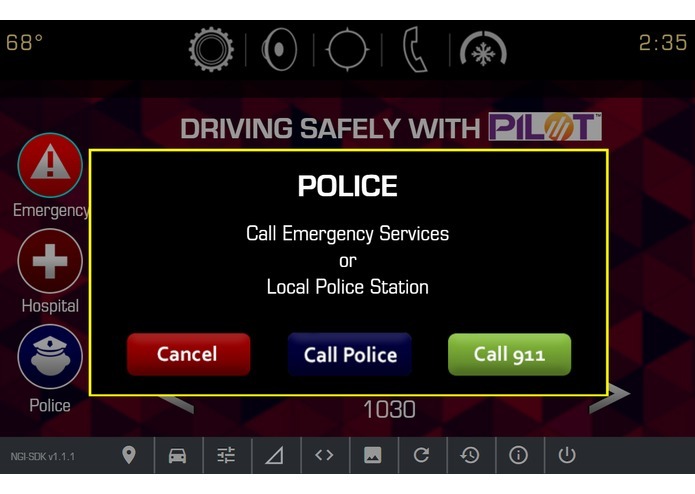 In addition to delivering Emergency Alerts to the Smart Car, it will also be very beneficial to provide additional safety features to drivers and passengers. A custom (Node.js) server processes a standard EAS Common Alerting Protocol (CAP) alert and pushes an alert in real time to the car. The car then shows the alert and recites the message to the passengers. 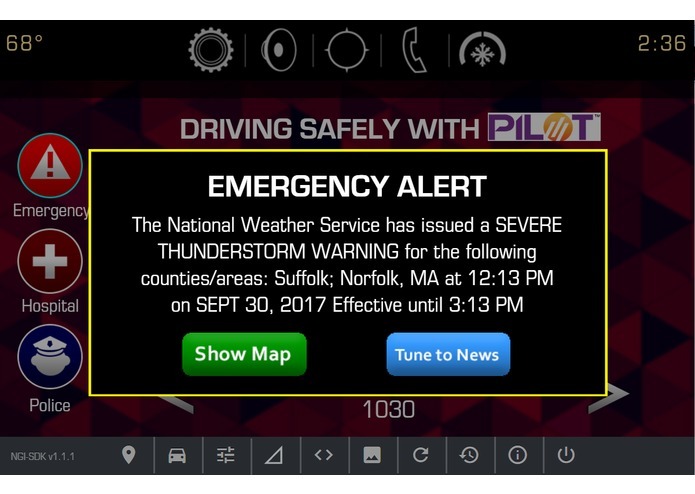 Buttons on the Emergency Alert allow the user to tune to a local AM/FM News Radio Station and also to view relevant information such as a weather map. We originally implemented the client and server with websockets, which worked well on the emulator. On the actual cars, we found that websockets are not yet fully supported. So, with GM developer help, we switched to an alternative approach. 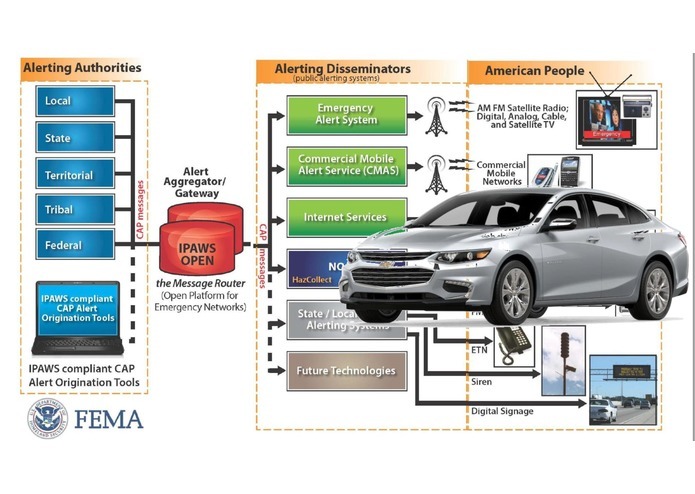 We developed a real-time alerting system for the car. This would be replaced with a notification system when GM offers it. 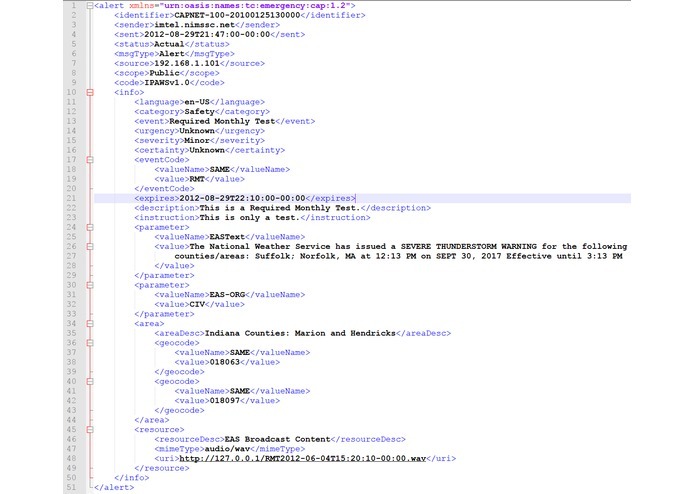 We also integrated deeply with the radio, providing navigation buttons and querying for meta data from our server and from the GM APIs. Debugging on real devices is super important! We hope to work more closely with GM to bring these and other radio-enhanced safety features to the public. Help work on the eas system using web sockets, debugging in the car.